Liangzhu Archaeological Site is part of the Tentative list of China in order to qualify for inclusion in the World Heritage List. 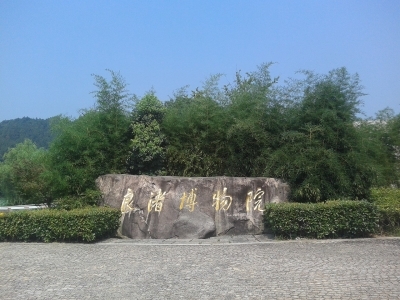 At the time of writing the Liangzhu sites are gearing up for an inscription attempt. I went to the Liangzhu Museum on the outskirts of Hangzhou a couple of years ago. It can easily reached by bus from the city center areas and the bus is semi-frequent plus very cheap. Now I have to say I did not actually go to any of the archaeological sites with the assumption that they are off-limits, but I don't know for certain. It certainly looks like nothing on the map so I did not want to "waste" my time trekking around in the heat. Either way, unless you are purist you are better off going to the museum for all the insight into the Liangzhu culture and the findings at those dig sites. Update: I ended up going back to this area a week later and went to an archeological site called Mojiaoshan where you can see some dig sites, rather unimpressed, but it allows you to say you went there. I was correct to assume they left nothing valuable here but some dirty canal covered with a plastic roof. The museum is big. Really big. You can spend 2-3 hours here depending on the temporary exhibition on offer. In a typical museum fashion everything you see is behind glass panels with descriptions. The best ones I found were the jade artifacts, usually rings or some kind of vases (they called them "cong"). With Hangzhou being a bit of a hotspot of sites I think it is a good addition for another half-day trip.